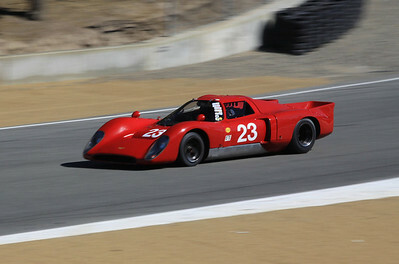 Photographs taken during the 2013 Rolex Monterey Motorsports Reunion at Laguna Seca Raceway. The pictures in this gallery represent only a sample of the pictures that I have available. I will be uploading more pictures in the coming days. Contact me if you are interested in pictures of a particular car on track or in the paddock. 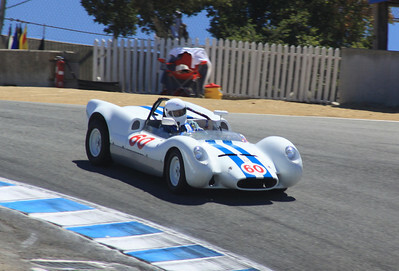 A 1961 Dolphin America driven by Pancho Kohner starts downhill in the Corkscrew. 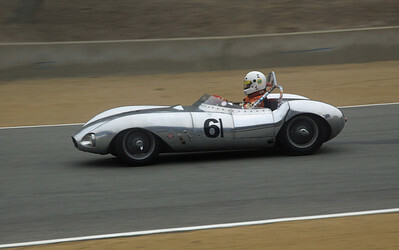 Dale Bloomquist pilots a 1960 Lola Mk I out of the Corkscrew towards turn 9. 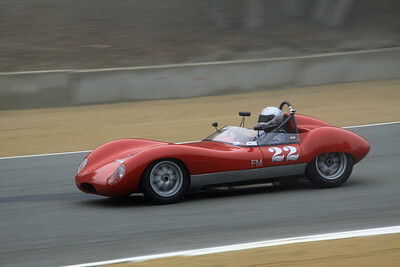 A 1957 Elva Mk IIB on heads toward turn 9. 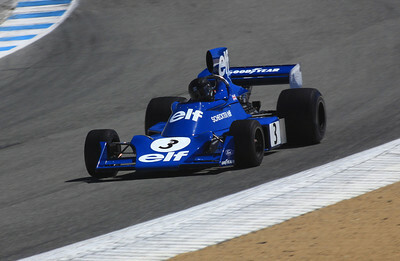 A 1974 Tyrell 7 Formula 1 car once driven by Jody Scheckter exits the Corkscrew. 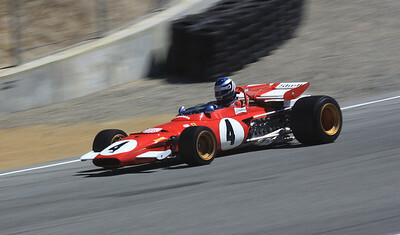 A classic 1970 Ferrari 312B Formula 1 racer heads downhill in the Corkscrew. 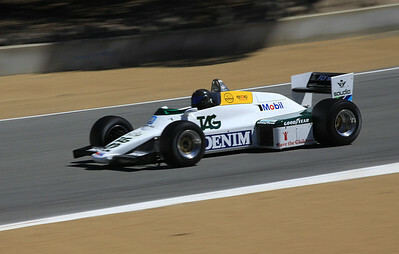 Danny Baker drives a 1983 Williams FW-08C Formula 1 racer toward turn 9. 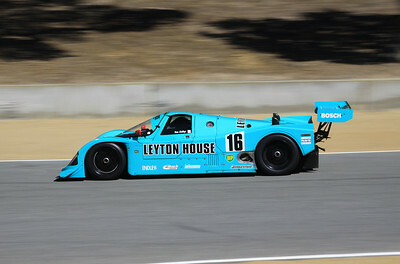 The 1988 Porsche 962-C Coupe Kremer driven by Tom Malloy heads down the hill towards turn 9. 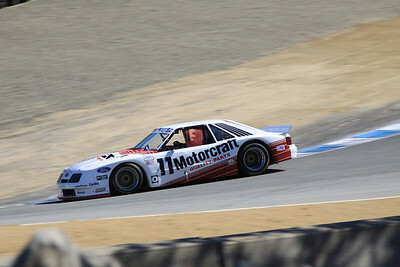 John Goodman drives a 1988 Chevrolet/Protofab Corvette through the Corkscrew. 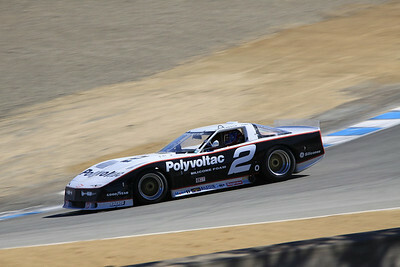 A 1986 Ford-Rousch Mustang driven by Phil Gallant negotiates the Corkscrew. 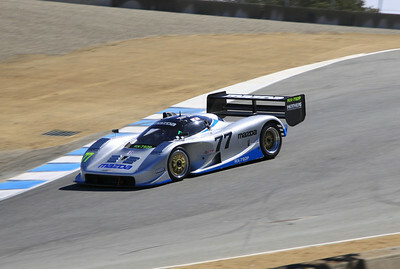 Weldon Munsey guides a Mazda RX7-92P GTP racer into Turn 8A in the Corkscrew. 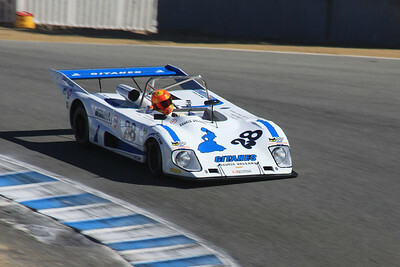 Tom Minnich guides a 1977 LolaT298 through the Corkscrew. 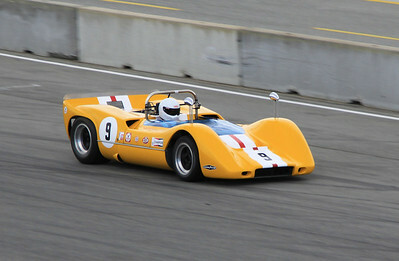 A 1969 Chevron B16 droven by Bob Kullas heads down the hill toward turn 9. 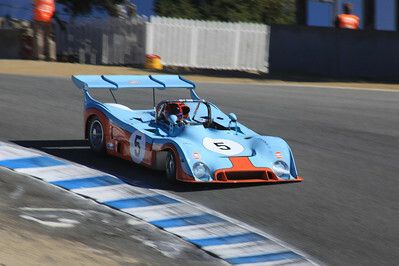 Chris MacAllister drives a 1973 Gulf Mirage through the Corkscrew. A 1968 McLaren M6B driven by Bob Lee accelerates down the front straightaway after exiting turn 11. 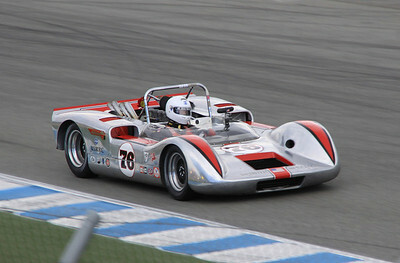 A 1964 Webster Special driven by Jonathan Ornstein heads down the front straightaway. 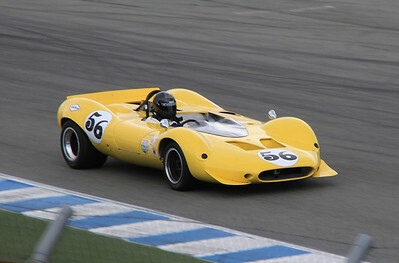 Greg Mitchell pilots a 1967 Shelby Can-Am Cobra out of the hairpin. 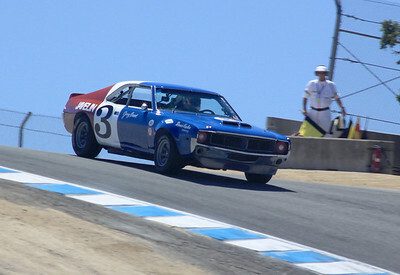 A 1969 AMC Javeling driven by Craig Jackson races through the Corkscrew. 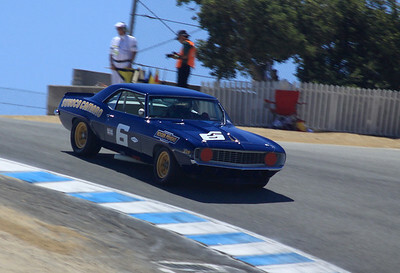 A 1968 Camaro Z/28 driven by Tom McIntyre negotiates the Corkscrew. 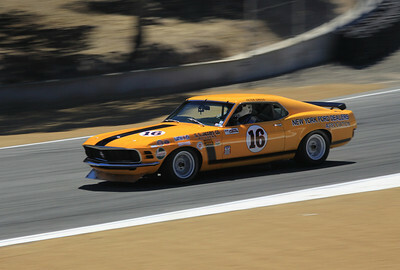 The 1970 Boss 302 Mustang driven by Ken Epsman heads toward turn 9. 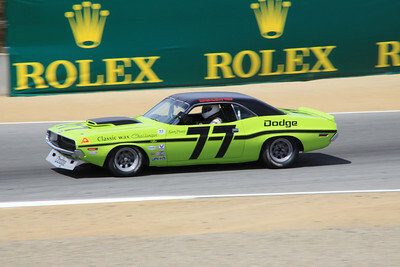 Richard Goldsmith drives a 1970 Dodge Challenger out of turn 4. 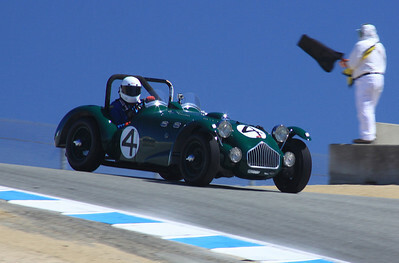 A 1950 Allard J-2 Le Mans roadster driven by Graham Smith comes over the crest at the top of the Corkscrew. 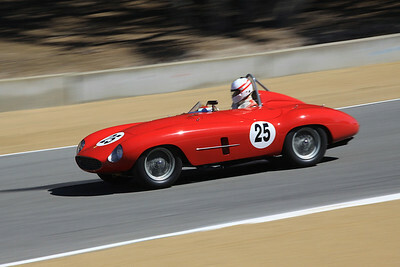 Erickson Shirley guides a 1954 Ferrari 500 Mondial Spyder out of the Corkscrew heading toward turn 9. 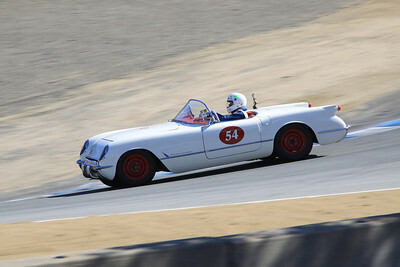 Richard Ravel goes down the hill through turn 8A in a 1954 Chevrolet Corvette. 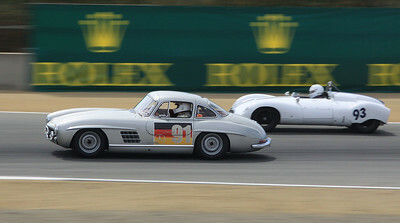 The 1955 Mercedes 300SL Gullwing Coupe driven by Alex Curtis passes a 1955 Cooper Type 39 Bobtail driven by David Brown exiting turn 4.